Through regional sporting opportunities. RVS works with other schools and Sports Tasman to ensure our students have access to a variety of sporting prospects. 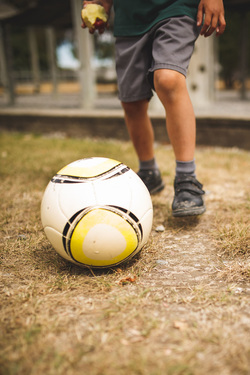 The Academy seeks to promote excellence in skills and physical abilities while developing character, social relationships and sportsmanship that reflect the Christian ethos of RVS. ​Students may also participate in one day sporting events, such as cricket, tackle rugby and ripper rugby. Swimming lessons are held at the Marlborough Aquatic Centre at the beginning of the year. Parents will assist with transportation of all students, with the exception of those Year 7 and 8 students who have bicycles and wish to cycle to the pool. Please make sure that your child’s swimming gear and clothes are clearly marked with waterproof ink and kept in a bag. Girls must have a one-piece bathing costume. Marlborough Primary Schools arrange various festivals throughout the year of a cultural or sporting nature. Sports include athletics, gymnastics, cross country and duathalon. Parents will be informed when Richmond View School participates.